Carroll, J. 1995 'Millefiori in the development of early Irish enamelling' in Bourke, C. (ed.) From the isles of the north - early medieval art in Ireland and Britain. Belfast HMSO, 49-57. Carroll, J. 2000 'IAPA as an Institute-research on the development of the professional association' in IAPA News, no. 32. Dublin, 7-17. Carroll, J. 2002 'Glass bangles as a regional development in early medieval Ireland' in Redknap, M., Edwards, N., Youngs, S., Lane, A., Knight, J (eds.) Pattern and Purpose in Insular Art. Proceedings of the fourth international conference on insular art held at the National Museum and Gallery, Cardiff 3-6 September 1998. Oxford, 107-116. Carroll, J. 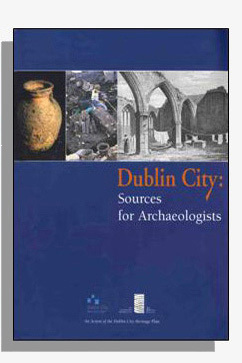 2002 Dublin City - Sources for Archaeologists. Dublin City Council. An Action of Dublin City Heritage Plan. Dublin. Carroll, J. 2008. 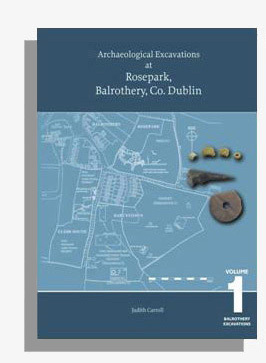 Excavations at Rosepark, Balrothery, Co. Dublin. Environmental Publications. Dublin. Carroll, J., Ryan, F. and Wiggins, K. 2008. 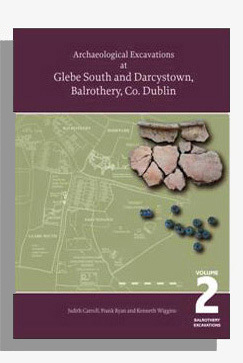 Excavations at Darcystown and Glebe South, Balrothery, Co. Dublin 2000-2005. Environmental Publications, Dublin. Carroll, J. 2011. ‘Excavation of Corn Drying kilns at Darcystown, Co. Dublin’. In Corlett, C. and Potterton, M. (Eds). Settlement in Early Medieval Ireland in the light of recent archaeological excavations. Fourcourts Press. Dublin. Carroll, J. 2012. ‘Excavations at Excavations at 58-59 Thomas Street/Vicar Street and 63-64 Thomas Street, Dublin 8’. In Duffy, S. (Ed). Medieval Dublin, XII. Fourcourts Press. Dublin.